The above is an excerpt from the sonnet, The New Colossus, written by Emma Lazarus in 1883. This poem was written as a donation for an auction whose proceeds would raise money for the construction of the pedestal for the Statue of Liberty”. In 1903, the poem was engraved on a bronze plaque and mounted on the pedestal of the Statue of Liberty which had been dedicated on October 28, 1886. Both these words of the sonnet and the Statue of Liberty have become symbols of immigration to the United States. New York was the major port for immigrant arrivals into the United States but there were over 300 ports along the U.S. coastline receiving immigrants. These included both seaports and land border crossing stations. New York was also where most of the Polish immigrants arrived but Philadelphia, Baltimore and Boston also received significant numbers of Polish immigrants. Galveston, Texas is also important in the discussion of Polish immigration because it received the first mass migration of Polish immigrants as they went on to establish the Polish farming community in Panna Maria, Texas. The Poles also arrived in North America in significant numbers through the Canadian ports of Quebec and Halifax, Nova Scotia. The Canadian government allowed U.S. immigration officials to be at Canadian ports to inspect and record immigrants who were headed for the United States. I believe that knowing the port of arrival of your immigrant ancestors and its history should be an important part of your family history. Why they arrived at a specific port should also be an interesting part of their story and the selection of the destination port was based on one or more of a number of factors. For many immigrants the price of the passage was the major factor as some of our ancestors chose the cheapest route. Some invested almost all their money into the price of the passage. While others wanted to save as much as possible to have more to purchase farmland once they had arrived. As the shipping companies began to compete for immigrant passengers, the price they charged for the steerage passage became important as the companies sought to fill their cargo areas with human cargo to offset the cost of the return voyage to America for more goods, grains and raw material that were needed in Europe. The companies based their decisions on their shipping contracts and business relationships, port regulations, port fees, port accessibility and the demand for the products shipped to Europe. In the early 1900s, shipping companies upgraded their accommodations for more comfort to the steerage passengers and this became an important considerations for some immigrants as they chose which ship to depart Europe and this pre-determined their port of arrival. Many had heard of horror stories of sickness, deaths and poor living conditions on voyages taken by friends and relatives who had preceded them to America. Other important factors that determined the port of arrival were recommendations from the relatives and friends who had proceeded them. Which ports were recommended to gave the best route to join their friends or relatives? For those in a hurry to join their loved ones, finding ships that were leaving as soon as possible was important and the port of arrival was not considered. As the United States began to restrict immigration, arriving at ports which had inspectors with lax procedures helped immigrants who may have conditions that they feared may cause them to be rejected in other ports. Another important consideration for some immigrants was the availability of job opportunities in the port city or near-by. Each port earned a unique history and knowing this history may give you valuable insights into the personal history of your ancestors and may yield some reasons for their immigration and suggest some of the challenges they faced. Once the emigrants had made the decision to leave, their goal was to board a ship for America, survive the voyage, gain admittance to the U.S. and then join their friends and relatives. Do the research and find the passenger manifest. This is the seed that plants the roots of your family in America. 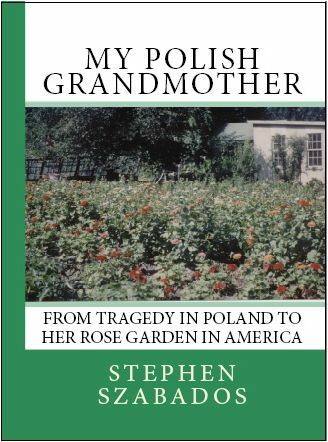 The Polish Genealogy Society of America (PGSA) has scheduled their 2015 Conference for Saturday September 26 and it will feature four great speakers. If your family lived on Chicago’s south side, mark your calendar for Friday September 25 and join the PGSA bus tour of the Polish churches and neighborhoods where your ancestors lived. The conference will be held at the Chicago Marriott Midway at 6520 S. Cicero Avenue in Chicago. On Saturday morning, Ginger Frere will discuss the golden nuggets that you can find in community and local government resources including NARA at Great Lakes. The second session in the morning will be led by Ellie Carlson who will give you insights on dating your pictures by identifying the period clothes you see. Both afternoon sessions will be given by Ola Heska. In the first afternoon session learn how to obtain vital records from the Polish State Archives website with step-by-step instruction. Free Wi-Fi is available to allow you to follow along on your laptop or tablet. The second session will cover two exciting new Polish websites Geneteka and Metryki. 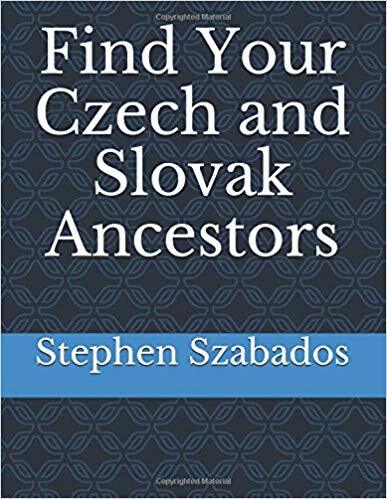 Learn how to search for ancestors in these databases that have been indexed by the Polish Genealogical Society (PTG). Learn how to obtain the digitized vital records that are now available online. The bus tour on Friday will include stops and tours of the “original” Sears-Roebuck water tower, St. Adalbert Parish in the Pilsen neighborhood, St. Mary of Perpetual Help Parish in Bridgeport, the Pullman Railroad Car Company site and St. Michael the Archangel Parish in the South Shore neighborhood. More views along the bus route will include the Spiegel Warehouse, the 1893 Columbian Exposition Fair Grounds, Immaculate Conception Parish, over Blues Brothers movie ‘bridge,’ the site of US Steel mills and more. Plan to stay at the Chicago Marriott Midway. The hotel is conveniently located close to Midway Airport and a discounted room rate of $99 per night has been arranged for a limited number of conference attendees..
Life is short. Your efforts in attending the PGSA conference will be rewarded with a wealth of new sources to find information for your family history. Visit www. PGSA.org for registration information and more detail.